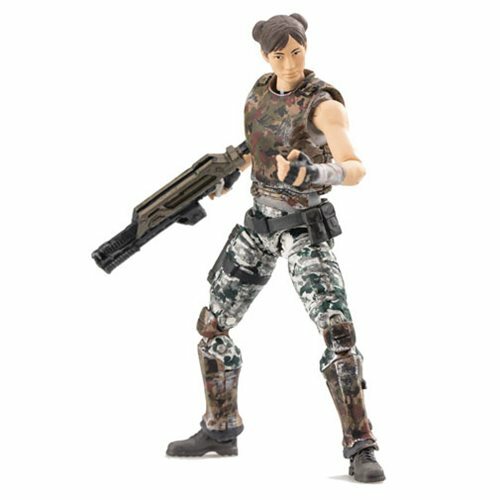 Hiya Toys presents Colonial Marine Pvt. Bella to add to your squadron! As featured in the controversial video game sequel, Aliens: Colonial Marines, this 1:18 scale action figure features multiple points of articulation, a figure base, and Private Bella Clarison's signature weapon. This Aliens Colonial Marine Pvt. Bella 1:18 Scale Action Figure - Previews Exclusive measures about 3 3/4-inches tall and fits in scale with other Colonial Marine action figures (sold separately).